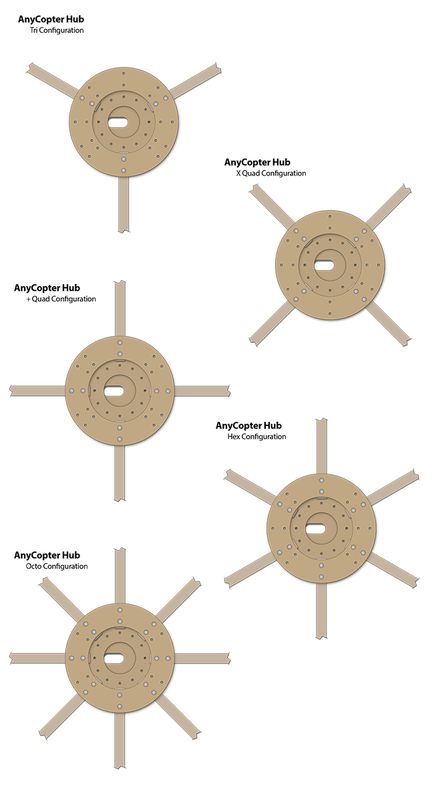 Download the AnyCopter plans HERE. Great job guys, I hope these are selling well! Good one to come up Chad, its your invention, I'm glad you did the build. 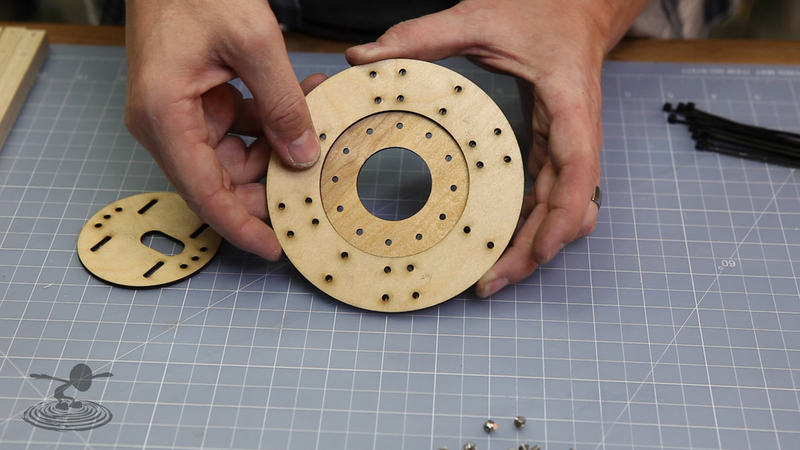 It looks like the flight controllers are just seated in some foam and hot glued in, is this all that is needed? Double sided tape works best. 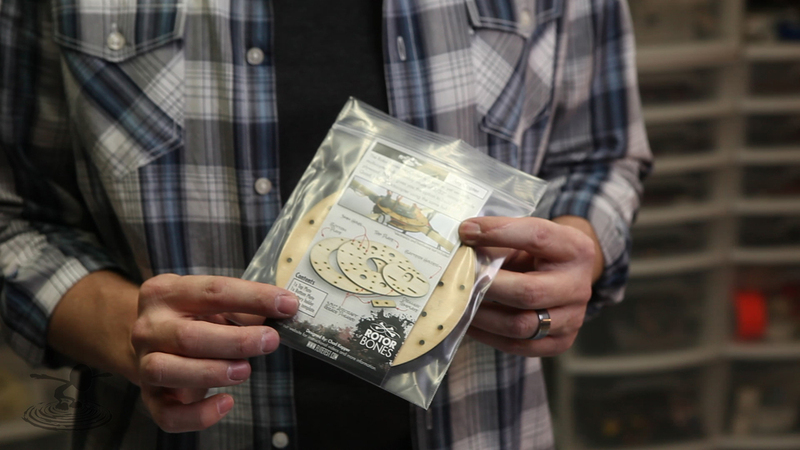 Chad, you have designed the most awesome Multi Rotor Kit in the world. I have been looking at so many designs and you have the absolute best one. Below some pictures. 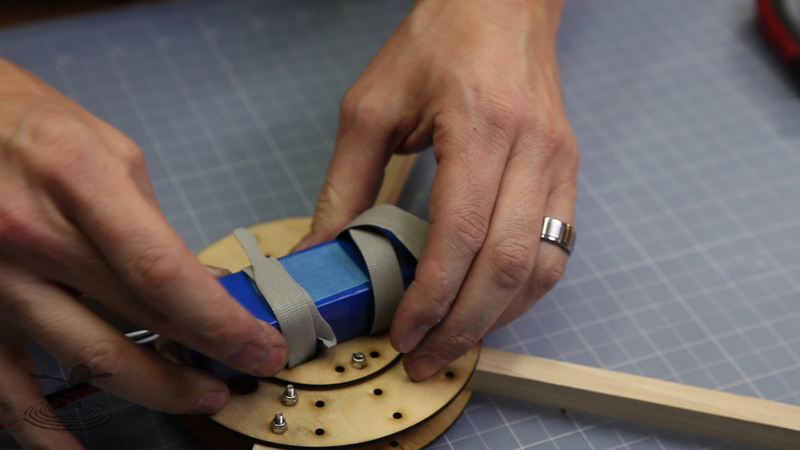 As for the camera rig I have used thick zipties instead of wire. I have not tested it out with a camera to see if any jello or shakes. Hope it works as well as your Chad Kapper. mr sonic that looks awesome the fpv setup you got on your remote. What parts are they??? 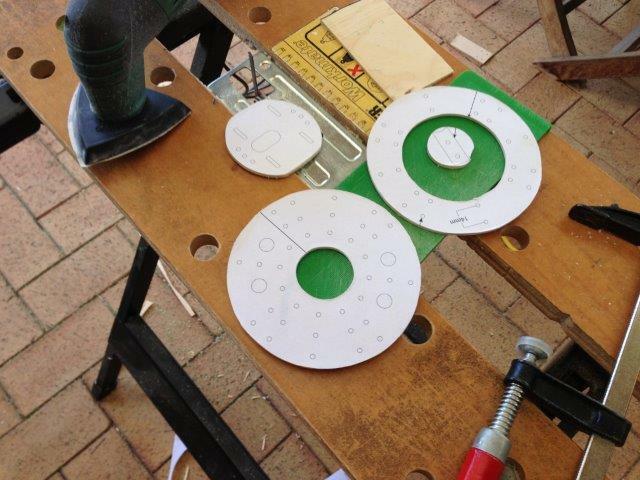 Have built another using Chad's Knuckles H-Quad much smaller and easy to store in a pelican case. Really recommend the Afro ESC with SimonK. Or flash compatible ESC with SimonK firmware really made my whole flying experience better. I am big fan of yours, love what your doing for rc community! 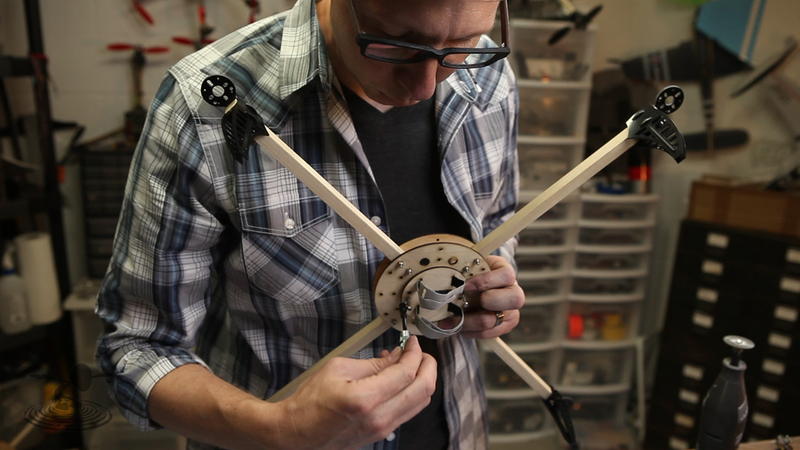 At the moment I'm working on octocopter frame from Rotor Bone series. 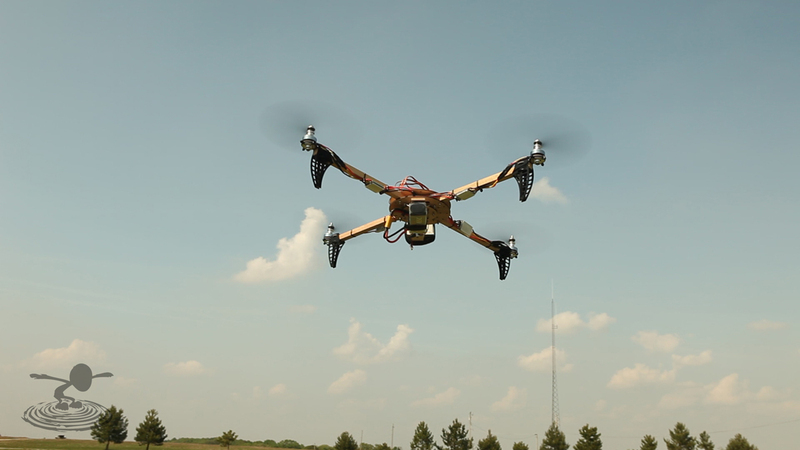 I want to build filming octocopter with 3 axis gopro gimbal. But I don't know what are the best options for electronics. Can you recommend electronics? 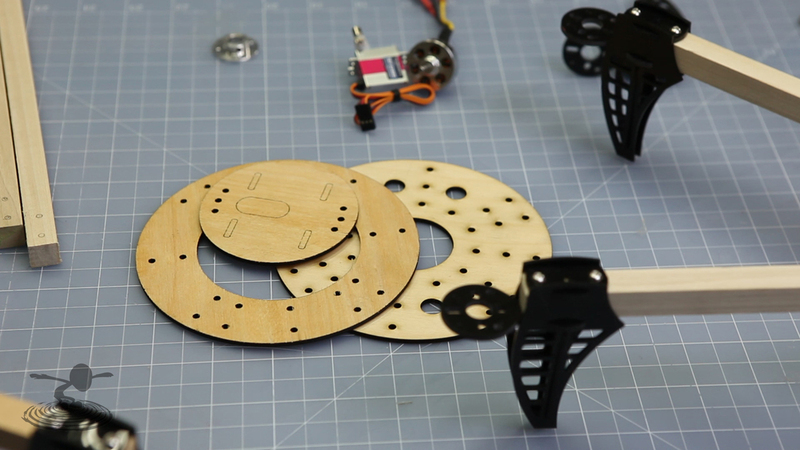 http://flitetest.com/articles/september-2013-update : What motors and prop adapters you sre using? 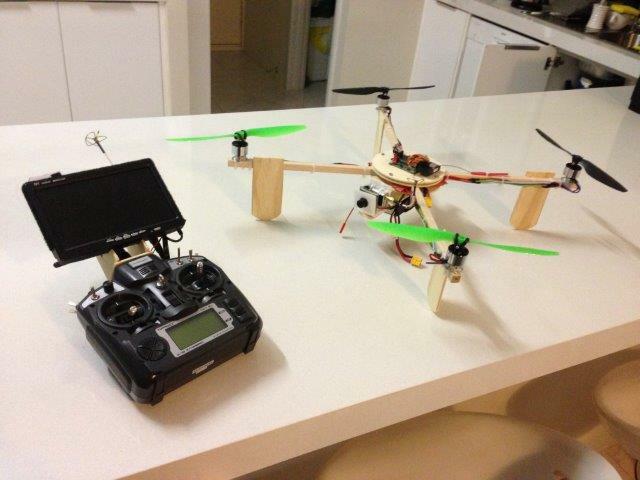 Love the anycopter hub, Created my own from plywood, its a little off but works well. V2 will be better made. I also created a SketchUp file for the hub. 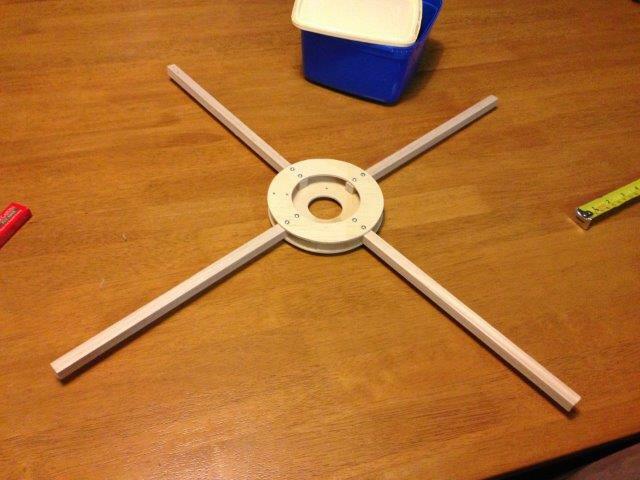 Here is the link for the hub with arms in a tri, quad, Hex and Octo setup. Chad! 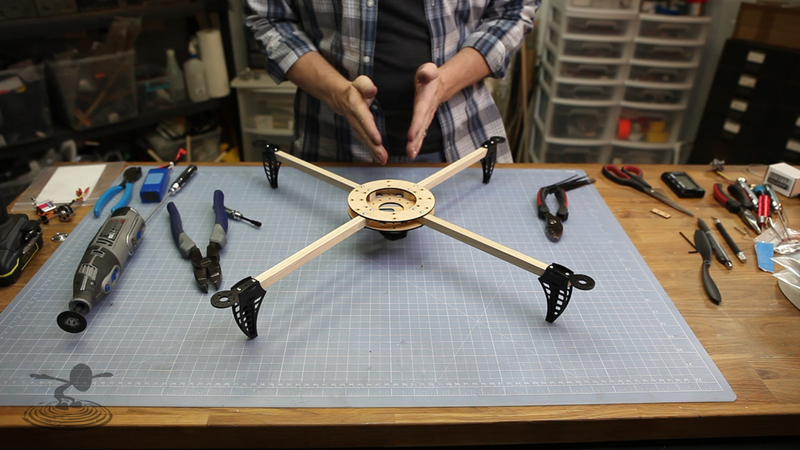 I want to build a camera rig with the anycopter like yours! 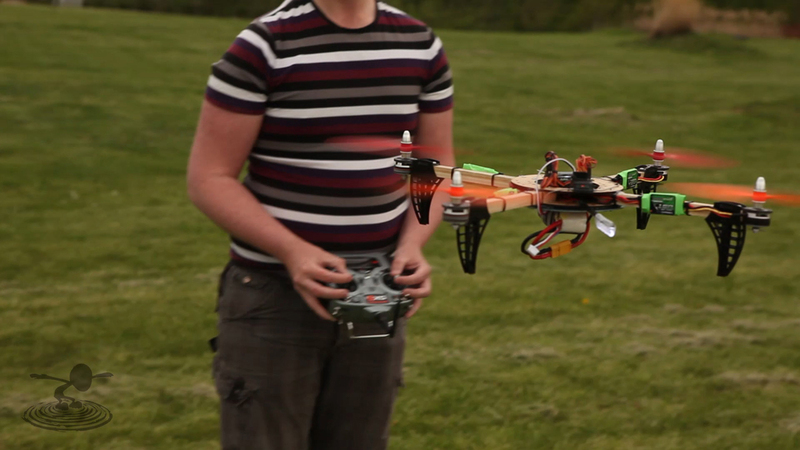 Can you tell us what your hexacopter is using? I think I remember you having the blue wonders as motors on there. What size props? I think I'll stick with a KK2.0 or KK2.1 for now but was wondering what prop combo you are using with the blue wonders/hextronik 24g motors? Is this a good receiver for spektrum dx6i for this quad? That is a good receiver, but I've had good success with the cheaper 615 RX. Performance is similar, doesn't require a satellite for diverse reception (two antennas vs. one -- with two, it will pick whichever is the strongest at that moment). 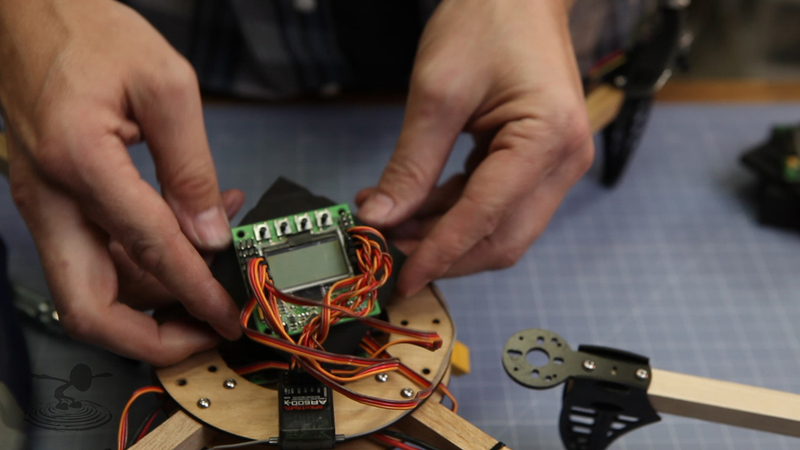 Also if your control board doesn't support Return-to-launch, you DON'T want a failsafe. If it can pilot itself back to the launch point, then great. If it can't, it's best to have it fall out of the sky where it looses control instead of flying away uncontrolled with the throttle open . . . until the props find something to chew into and burn out your ESCs. Honest, a dead-duck fall is better. Thanks! My control board is KK2.1. Can't I just ignore the failsafe? So I need a two antennas for this? The advantage of the 620 over the 615 is the failsafe and the satellite port, but in exchange it only has one antenna and costs twice as much. For the kk2.1 set the failsafe to neutral/throttle off -- that will work -- but the 615's "unconnected" state will do this (technically it reverts to no pulses, but most ESCs, and the kk2 will shut down the motors in that case). As for the antennas, I might be wrong, but I avoid RX's without them. 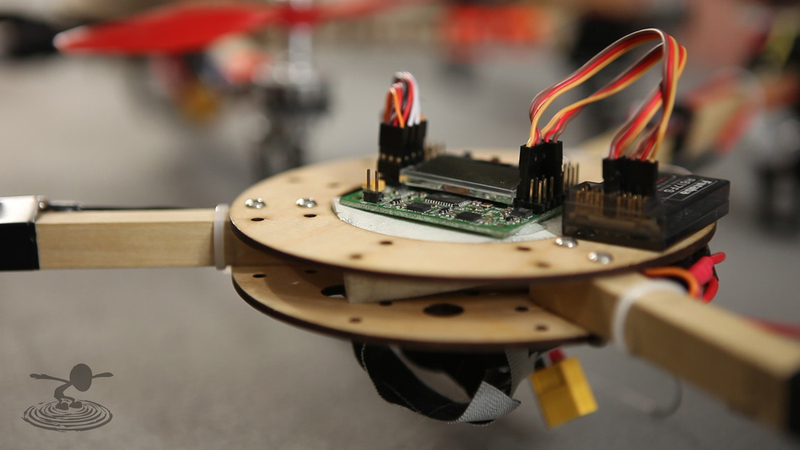 the antennas can be set at different angels, so as one antenna orients itself in a "null" to the transmitter (think blind spot) the other antenna can still see it. A satellite goes a step further, and lets you mount it on the other side of the airframe, so the airframe's shadow can be overcome as well (usually not a problem with small airframes). Of course the satellite itself cost as much as a 615. So the 620 + satellite is about 3 times the cost, to pick up a little more signal quality (which doesn't hurt), and a failsafe (which doesn't help). So back to my earlier opinion, it's a nice receiver and will work, but the 615 will be a cheaper option and nearly the same performance for many cases. The anycopter hub is sweet... Used tail servo assembly from Rcexplorer.se. 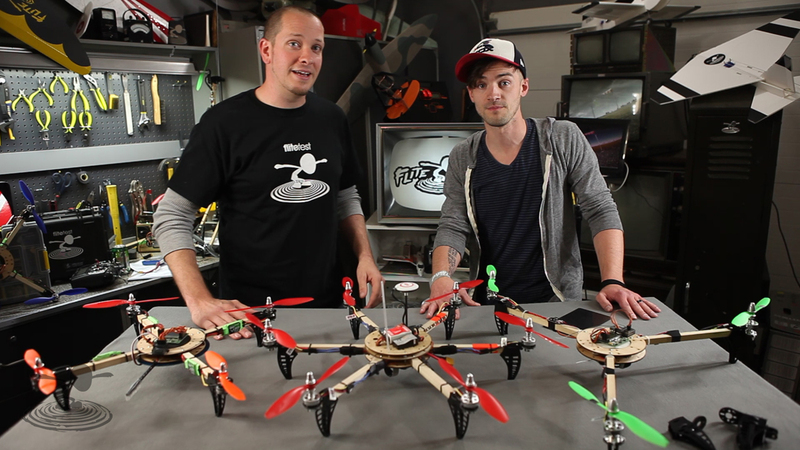 Love the Tricopter. Above is my practice flight on weekend. Nice build. What gear are you using ? What would be the cheapest, reliable electronics that I could use to build this? I was thinking about buying this for my 14 year old son's birthday in May. I started him young doing origami from instructions, so I'm pretty sure he'd be able to figure it out. 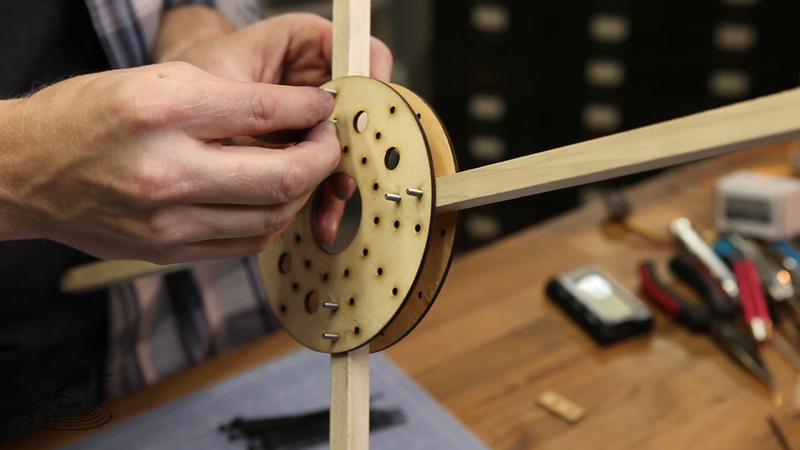 There doesn't seem to be a guide to actually assembling a copter, except for the video. (I'm deaf so if they explained the electronics, it's lost on me). Any guidance on where to start? I'd like him to be able to attach a go-pro to it. 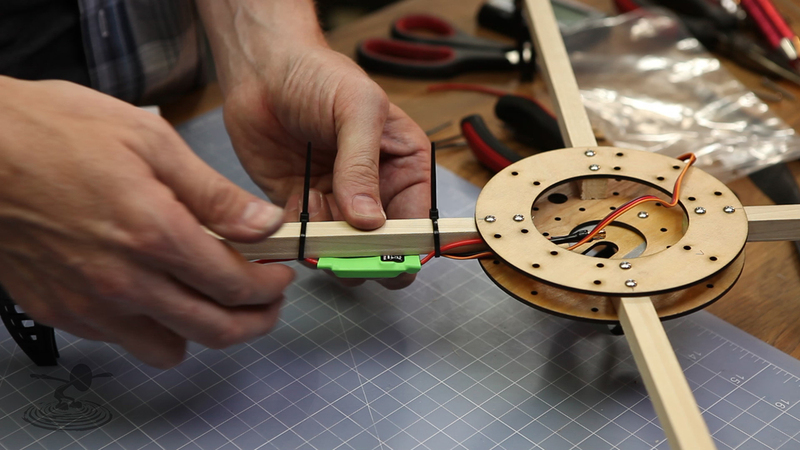 He shows how to build a different copter, but the basic electronic stuff should be similar.